Carpathians in winter - not just skiing or what to do, how to have fun in the cold season? Transcarpathia welcomes guests at any time of the year! Local, ski resorts with the onset of cold weather are especially in demand. 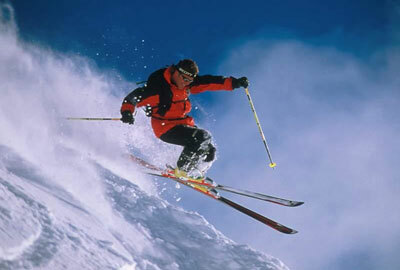 Thousands of tourists come to the Transcarpathian region to ride on skis, snowboards and sleds. Winter Carpathians are fresh, frosty air, rich in conifer, snow-capped peaks of the majestic mountains, delicious Hutsul cuisine, warmth and comfort of a fireplace hearth! In addition to traditional entertainment, in the mountains you can find other, not less exciting, activities! Winter Carpathians - a fairy tale in which every traveler wants to find himself! This is an excellent place where you can not only relax and unwind away from the bustle of the city, but also engage in active sports! In this area, tourists will not see rocky, sharp peaks, such as in the Alps and Tatras, but will be able to enjoy the unique flavor of the Hutsul region! Here you can see amazing landscapes, fluffy, snow-white cover on the mountain slopes, green, powdered with snow, tops of spruce trees, pines and smerek, enjoy the incredibly cozy, homely atmosphere in the house of wooden log, drink a cup of fragrant coffee by the fireplace and visit a bath on the wood. At the ski resorts of the Carpathians, all the conditions for skiing and snowboarding are created, trails of varying degrees of difficulty are laid - both for beginners and professionals. In addition to ski sports, the Ukrainian Carpathians are interesting for tourists with unique, local customs. If you want to feel the real atmosphere of the Ukrainian holiday, hear the Kolyada and the incomparable sound of trembits, look at the traditional, Hutsul "fun", come to the region for the New Year and Christmas! In winter, tourists in the Carpathians will be offered to go on an exciting journey on high-speed snowmobiles, accompanied by experienced, qualified instructors. Rent a motorcycle will give a feeling of drive and inexpressible emotions! While riding on a snowmobile you can enjoy the speed combined with the fantastically beautiful nature of the Carpathian mountains! Bukovel offers guests a variety of routes on modern high-quality technology from the brands Bombardier and Arctic Cat. This entertainment is guaranteed to provide adrenaline rush! And for children, the descent to the sleigh from the snowy, mountainous slopes. Strong-willed, hardy tourists will be able to play paintball in the frosty winter. This entertainment will help not only to warm up, but also give a lot of positive emotions! Paintball in the Carpathians is not only an exciting team game, but also an exciting process, the participants of which will be able to experience what real competition is! In addition to excitement, paintball will give excellent, active, corporate outdoor recreation. This occupation is a wonderful opportunity to escape from the monotonous everyday life! Tempting, isn't it? Winter fishing in one of the trout farms in Transcarpathia is a great way to occupy yourself, cheer up and have fun. Here the fish bite, so a good catch will be guaranteed! Guests in the Carpathians in the winter will be offered an unforgettable walk on sleds with sled dogs, at a distance of two to five kilometers. Siberian Huskies will take tourists along the forest trails of the ski resorts. Everyone can be in the role of the musher - the driver of the dogs, having independently overcome a certain part of the way. It is possible to order this service at the rental center located near the lower station of the lift №14 in Bukovel. The snowbike is an Austrian device designed for stable and fast skiing on snow-covered mountain slopes of varying degrees of difficulty, combining a bicycle and skis. Snowbike weighs from three to seven kilograms. Thanks to the unique design, a snow bike can be easily raised on a mountain with the help of any lift. Snowbike is absolutely safe and very comfortable to use. It has five points that provide support, equipped with a comfortable seat, shock absorbers. 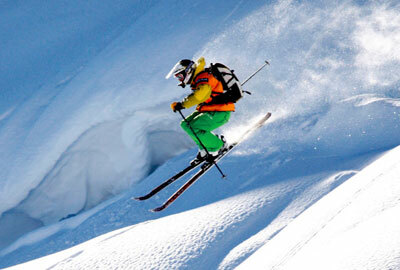 Tourists will be able to choose both measured and extreme snowbike riding. In order to learn how to ride a unique bike, a two-hour lesson with an instructor is enough. Riding a snowbike is interesting for both children and adults! Snow tubing is, in fact, uncontrollable sledges, which are loved not only by children, but also by adults. You can rent a “bun” near the ski lift at number 2 of the lower station of the Bukovel ski resort, as well as in Dragobrat, Yasin and Yaremche. Snow tubing, in comparison with sledding, has several advantages - it is less traumatic, due to its soft texture, pleasant to the touch. Ride on the "bun" can everyone, even a child aged three years! This does not require physical training and special skills! Riding on the tube is carried out on a flat track, gives a lot of positive emotions and uplifting! Among the brave souls is extremely popular extreme pleasure - Zorbing. Anyone can visit a huge, transparent, inflatable balloon made of high-tech plastic, speeding down the snowy, mountainous slope of the Carpathians. The ball consists of two spheres, different in diameter. They are interconnected with a polypropylene sling. The airbag formed between the spheres provides cushioning during riding. This entertainment is absolutely safe! Zorbing is accompanied by tumbling and jumping, gives tourists indescribable delight and a huge adrenaline rush!